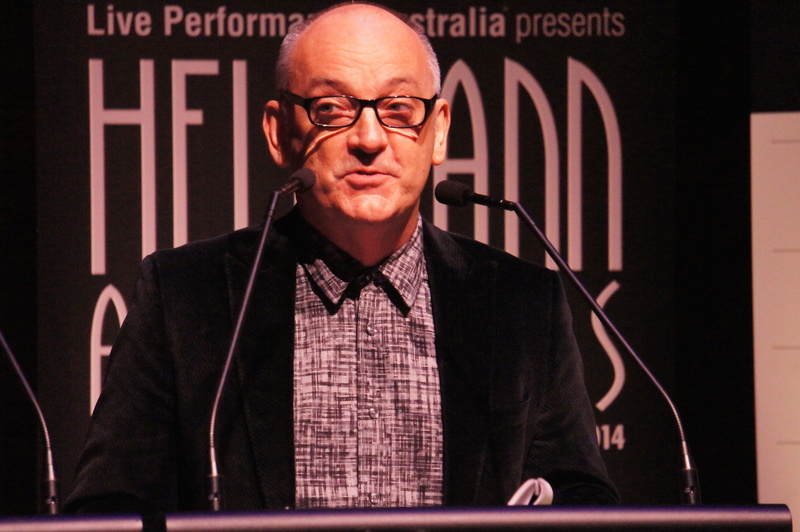 If it seems like a long time since the 2013 Helpmann Nominations were announced, that’s because it is: last year’s nominations were announced on June 24. The awards will be presented at Sydney’s Capitol Theatre on Monday 18 August, in a ceremony that will be telecast live on Foxtel’s Arena. Read on for all the nominations, plus a look at surprises, snubs and possible winners. Best Special Event will be presented to Destination NSW for Vivid Sydney 2013. 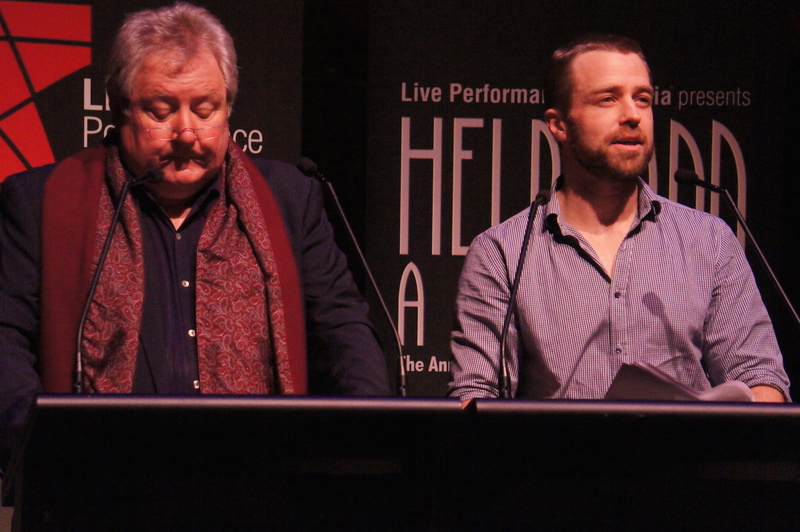 This year the Brian Stacey Memorial Trust announced Russell Ger as the winner of the Brian Stacey Award for Emerging Australian Conductors, also receiving an $8000 prize. Daniel Goodfellow (below) read a speech on behalf of Ger, who is currently in the United States. 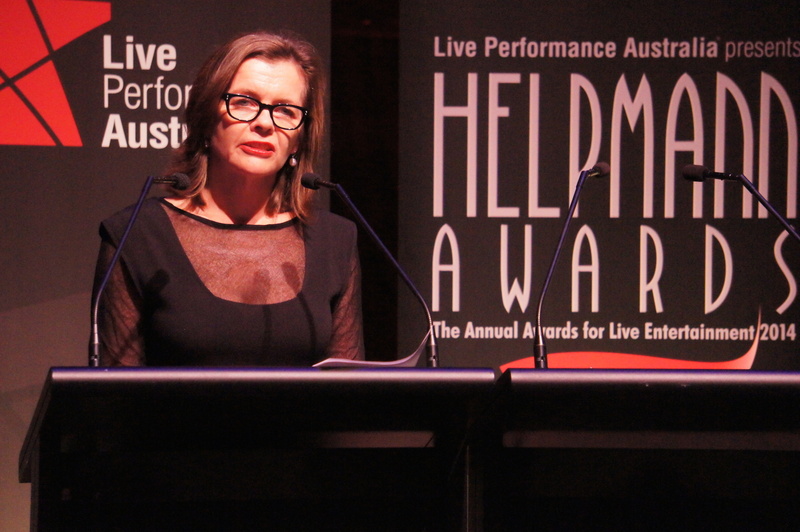 The Helpmann Awards, which are organized by Live Performance Australia, are unique in that they cover a range of theatrical fields. Musical theatre and opera, ballet and dance, cabaret and concerts, children’s theatre and plays are all eligible for awards, upon submission, by producers, of entries for consideration as nominations. This year’s nominees range from Gypsy to La Traviata, Cinderella to Storm Boy, and Sydney Symphony Orchestra to Pink. 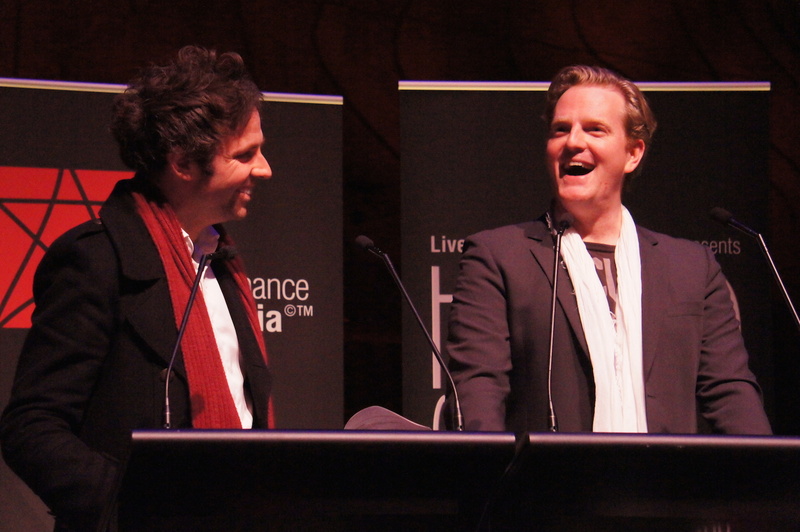 Sydney’s acclaimed season of Sweet Charity swept the pool with nominations for Dean Bryant (director), Andrew Hallsworth (choreographer), Andrew Worboys (music direction), Jessica James-Moody (sound design) Debora Krizak (Nicky/Ursula), Martin Crewes (Oscar/Vittorio), Verity Hunt Ballard (Charity) plus a nomination for Best Musical. 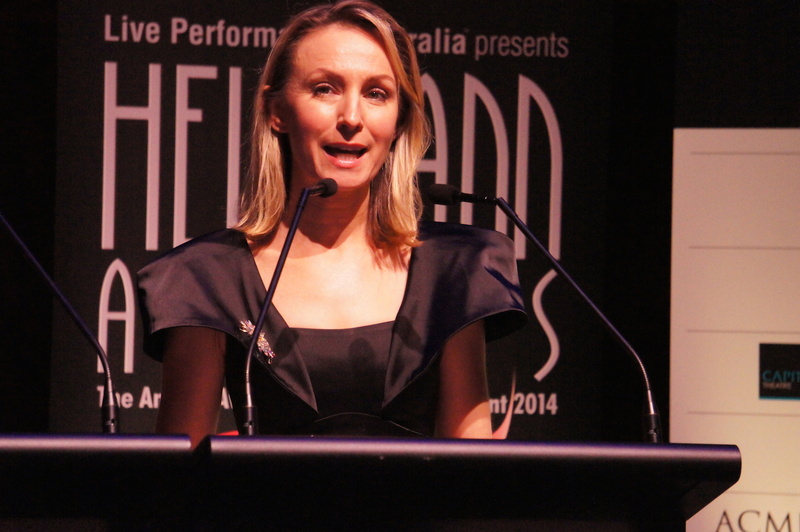 After her snub last year for South Pacific, Lisa McCune is a very deserving nominee for her universally praised work as Anna Leonowens in The King and I. Another expected inclusion was Caroline O’Connor for her sensational performance in The Production Company’s Gypsy. Krizak faces a particularly strong field for Best Supporting Actress against Strictly Ballroom’s powerhouse Heather Mitchell (Shirley Hastings), Lucy Maunder (Rizzo) as the emotional heart, and sole nominee, of Grease, and the serenely lovely Shu-Cheen Yu (Lady Thiang) of The King and I. Other nominees who gave well-received performances include Matt Hetherington (Freddy) in Dirty Rotten Scoundrels, Drew Forsythe (Doug Hastings) in Strictly Ballroom and Reg Livermore in Wicked. On the creative side, David Atkins and Dein Perry’s nomination for Best Choreography for Hot Shoe Shuffle was well deserved, as was Catherine Martin’s nomination for her eye-popping costumes in Strictly Ballroom the Musical. Notable snubs from the nominations include Gypsy from Best Musical category, as well as Gale Edwards for direction of Gypsy, and Tony Sheldon for his suave performance as Lawrence in Dirty Rotten Scoundrels. In addition to her Best Costumes nod, Catherine Martin also deserved a Best Scenic Design nomination for Strictly Ballroom. It is presumed that Victorian Opera’s shimmering Sunday in the Park with George was not submitted. It should be noted that The Lion King already won Best Musical, Direction and Choreography in 2004, a feat also accomplished by Wicked (for Best Musical and Choreography) in 2009. 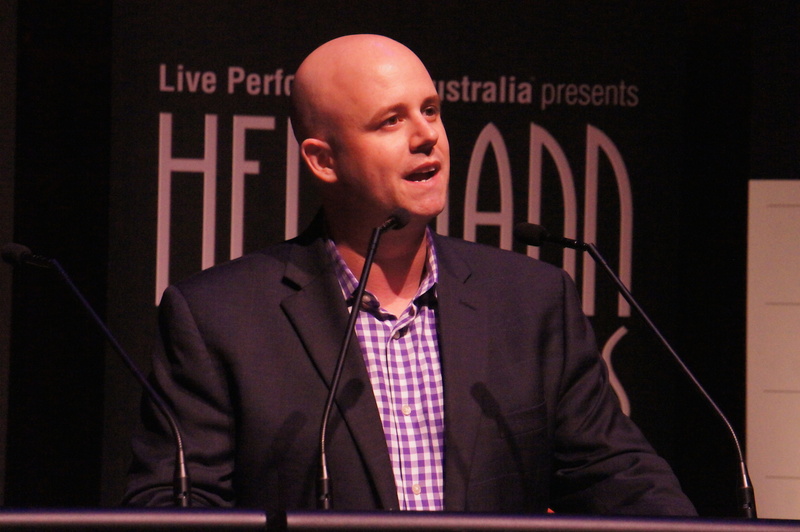 The original presentation of The King and I, currently touring as a revival, pre-dates the Helpmann Awards. On the opera front, Victorian Opera’s remarkable production of Nixon in China was well represented in the nominations, with the strongest overall yield going to Opera Australia’s world class Melbourne Ring Cycle. Nominated singers from the extraordinary cast of The Ring included career-topping work from Warwick Fyfe as Alberich, Jacqueline Dark, a popular favourite as Fricka, and Terje Stensvold ended a magnificent career as the mighty Wotan. Returning Australian superstar Jessica Pratt (La Traviata) may give perennial favourite, and multiple Helpmann Award-winner, Emma Matthews (The Turk in Italy) a run for her money as Best Actress in an Opera. Gabriela Tylesova surely deserved a Best Scenic Design nomination to go with her Best Costumes nomination for The Turk in Italy, with Michael Scott-Mitchell also potentially deserving a nod for his stunning scenic design for Opera Australia’s new staging of Tosca. Missing from the opera field is Opera Australia’s wonderful 2014 production of Eugene Onegin, in which lovely young soprano Nicole Car gave a winning performance. Most shocking exclusion in the opera nominations is the absence of Handa Opera on Sydney Harbour Madama Butterfly for Best Opera and Best Direction for La Fura dels Baus. The concept and scope of this landmark staging were absolutely brilliant. The inclusion of Simon Phillips for his one-joke direction of The Turk in Italy but not La Fura dels Baus for Madama Butterfly is most egregious. The Australian Ballet will be pleased to see cutting-edge triple bill Chroma nominated as Best Ballet or Dance Work, but the absence of their adored new production of Cinderella is puzzling. Congratulations to Lucinda Dunn for her Best Female Dancer for her farewell season in Manon. 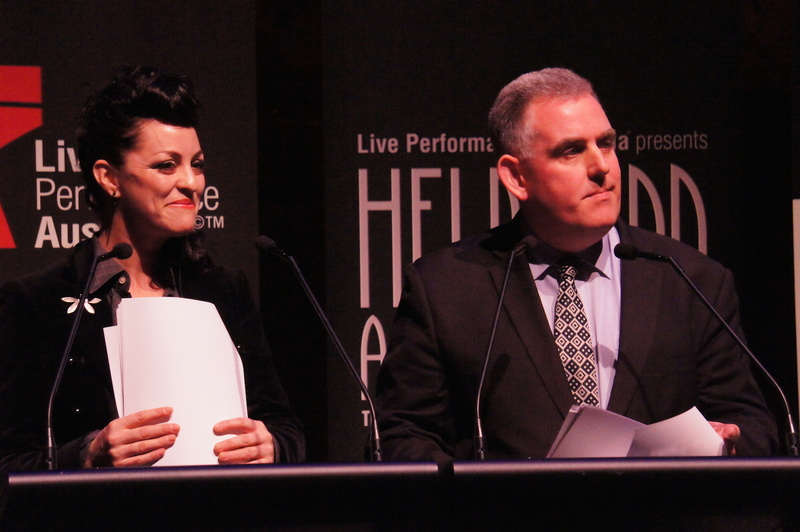 The Helpmann Awards will be presented Capitol Theatre, Sydney, on Monday 18 August 2014. Tickets for the general public are on sale through Ticketmaster. 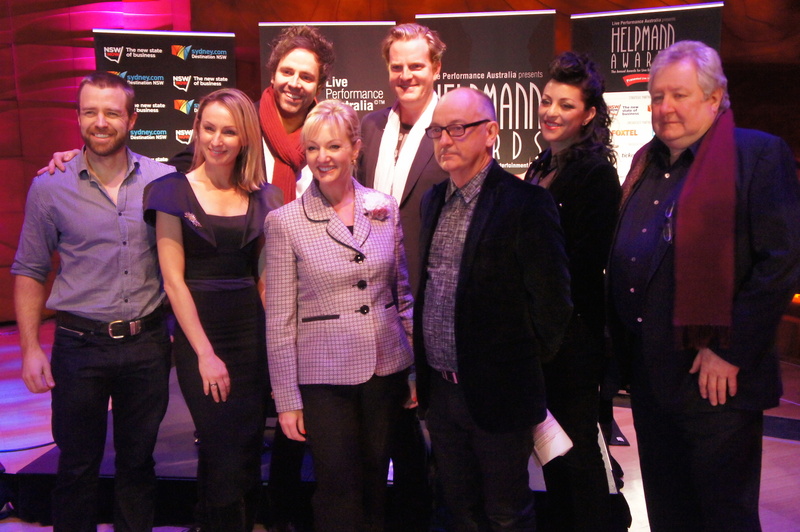 More information is available at the Helpmann Awards website. Sweet Charity, Luckiest Productions & Neil Gooding Productions in association with Hayes Theatre Co.
AM I, Produced by Shaun Parker & Company in association with the Confederation of Australian International Arts Festivals, Sydney Festival, Adelaide Festival and Melbourne Festival. Circa. A Nuits de Fourvière production/ Département du Rhône, coproduced with Les Théâtres de la ville de Luxembourg, GREC Festival of Barcelona, Le Cirque-Théâtre d’Elbeuf, Dusseldorf Festival, Barbican Theatre, CACCV Espace Jean Legendre-Compiegne. This project has been assisted by the Australian Government’s Major Festivals Initiative, managed by the Australia Council its arts funding and advisory body, in association with the Confederation of Australian International Arts Festivals, Brisbane Festival, Perth International Arts Festival and Melbourne Festival. The Shadow King, Malthouse Theatre in association with the Confederation of Australian International Arts Festivals – Adelaide Festival, Brisbane Festival, Melbourne Festival, Perth International Arts Festival and Sydney Festival. The Shadow King, Malthouse Theatre and Melbourne Festival in association with the Confederation of Australian International Arts Festivals – Sydney Festival, Perth International Arts Festival, Adelaide Festival and Brisbane Festival. Black Diggers, Produced by Queensland Theatre Company and Sydney Festival in association with the Confederation of Australian International Arts Festivals. Presented by Sydney Festival, Brisbane Festival, Queensland Theatre Company and Queensland Performing Arts Centre.